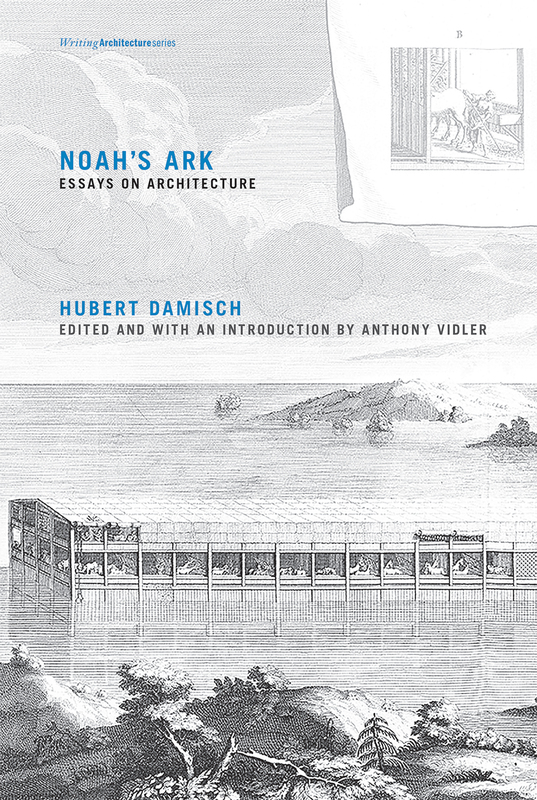 Trained as an art historian but viewing architecture from the perspective of a “displaced philosopher,” Hubert Damisch offers a meticulous parsing of language and structure to “think architecture in a different key,” as Anthony Vidler writes in the introduction. Drawn to architecture because it provides “an open series of structural models,” Damisch examines the origin of architecture and then its structural development from the 19th through the 21st centuries. He leads the reader from Jean-François Blondel to Eugène Viollet-le-Duc to Mies van der Rohe to Diller + Scofidio, with stops along the way at the Temple of Jerusalem, Vitruvius’s De Architectura, and the Louvre, thus tracing a unique trajectory of architectural structure and thought. "One of the six best books of 2011"
Today, spaces no longer represent a bourgeois haven; nor are they the sites of a classical harmony between work and leisure, private and public, the local and the global. The house is not merely a home but a position for negotiations with multiple spheres – the technological as well as the physical and the psychological. In A Topology of Everyday Constellations, Georges Teyssot considers the intrusion of the public sphere into private space, and the blurring of notions of interior, privacy, and intimacy in our societies. He proposes that we rethink design in terms of a new definition of the practices of everyday life. "Tafuri's analyses of modern architecture have lost nothing of their sharpness and relevance. In this painstakingly thorough rereading of his main texts on twentieth-century architecture, Marco Biraghi offers a fresh understanding and contextualization of Tafuri's project of crisis. Interconnecting Tafuri once again with the Italian and European intellectuals who were his main interlocutors, Biraghi unerringly unravels the intricacies of Tafuri's thinking, positioning him in the ends as an intrinsically modern critic of modernity, and pitching him against the postmodern attitude embodies in the work of Rem Koolhaas." For more than half a century, Erwin Panofsky’s Perspective as Symbolic Form has dominated studies of visual representation. Despite the hegemony of central projection, or perspective, other equally important methods of representation have much to tell us. Parallel projection can be found on classical Greek vases, in Pompeiian frescoes, in Byzantine mosaics; it returned in works of the historical avant-garde, and remains the dominant form of representation in China. In Oblique Drawing, Massimo Scolari investigates “anti-perspective” visual representation over two thousand years, finding in the course of his investigation that visual and conceptual representations are manifestations of the ideological and philosophical orientations of different cultures. Images prove to be not just a form of art but a form of thought, a projection of a way of life. In The Possibility of an Absolute Architecture, Pier Vittorio Aureli proposes that a sharpened formal consciousness in architecture is a precondition for political, cultural, and social engagement with the city. He uses the term absolute to denote something that is resolutely itself after being separated from its other. In the pursuit of the possibility of an absolute architecture, the other is the space of the city, its extensive organization, and its government. Politics is agonism through separation and confrontation; the very condition of architectural form is to separate and be separated. Through its act of separation and being separated, architecture reveals the essence of the city and the essence of itself as political form: the city as the composition of (separate) parts. Aureli revisits the work of Andrea Palladio, Giovanni Battista Piranesi, Étienne Louis-Boullée, and Oswald Mathias Ungers, whose work, he argues, addressed the transformations of the modern city and its urban implications through the elaboration of specific and strategic architectural forms. Their projects for the city do not constitute an overall plan but are expressed as an “archipelago” of site-specific interventions. If digital technologies have created a “paradigm shift” for architecture, which paradigm is shifting? In The Alphabet and the Algorithm, Mario Carpo points to one key practice of modernity: the making of identical copies. Carpo highlights two examples of identicality crucial to the shaping of architectural modernity: in the 15th century, Leon Battista Alberti’s invention of architectural design, according to which a building is an identical copy of the architect’s design; and, in the 19th and 20th centuries, the mass production of identical copies from mechanical master models, matrixes, imprints, or molds. The modern power of the identical, Carpo argues, came to an end with the rise of digital technologies. Everything digital is variable. In architecture, this means the end of notational limitations, of mechanical standardization, and of the Albertian, authorial way of building by design. Charting the rise and fall of the paradigm of identicality, Carpo compares new forms of postindustrial digital craftsmanship to hand-making, reviews the unfolding of digitally based design and construction from the early 1990s, and suggests a new agenda for architecture in an age of variable objects and of generic and participatory authorship. While it is widely recognized that the advanced architecture of the 1970s left a legacy of experimentation and theoretical speculation as intense as any in architecture’s history, there has been no general theory of that ethos. Now, in Architecture’s Desire, K. Michael Hays writes an account of the “late avant-garde” as an architecture systematically twisting back on itself, pondering its own historical status, and deliberately exploring architecture’s representational possibilities right up to their absolute limits. In close readings of the brooding, melancholy silence of Aldo Rossi, the radically reductive “decompositions” and archaeologies of Peter Eisenman, the carnivalesque excesses of John Hejduk, and the “cinegrammatic” delirium of Bernard Tschumi, Hays narrates the story of architecture confronting its own boundaries with objects of ever more reflexivity, difficulty, and intransigence. 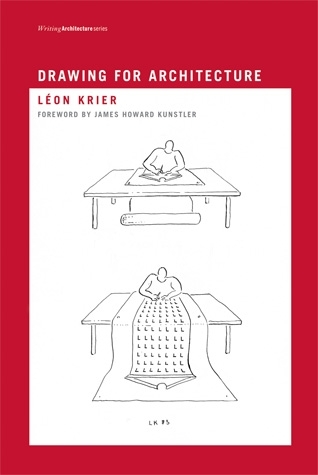 Architect Léon Krier’s doodles, drawings, and ideograms make arguments in images, without the circumlocutions of prose. Drawn with wit and grace, these clever sketches do not try to please or flatter the architectural establishment. Rather, they make an impassioned argument against what Krier sees as the unquestioned doctrines and unacknowledged absurdities of contemporary architecture. Thus he shows us a building bearing a suspicious resemblance to Norman Foster’s famous London “gherkin” as an example of “priapus hubris” (threatened by detumescence and “priapus nemesis”); he charts “Random Uniformity” (“fake simplicity”) and “Uniform Randomness” (“fake complexity”); he draws bloated “bulimic” and disproportionately scrawny “anorexic” columns flanking a graceful “classical” one; and he compares “private virtue” (modernist architects’ homes and offices) to “public vice” (modernist architects’ “creations”). Krier wants these witty images to be tools for re-founding traditional urbanism and architecture. Each of his provocative and entertaining images is worth more than a thousand words of theoretical abstraction. Architecture, at least since the beginning of the 20th century, has suspended historical references in favor of universalized abstraction. In the decades after the Second World War, when architectural historians began to assess the legacy of the avant-gardes in order to construct a coherent narrative of modernism’s development, they were inevitably influenced by contemporary concerns. In Histories of the Immediate Present, Anthony Vidler looks at the historical approaches of Emil Kaufmann, Colin Rowe, Reyner Banham, and Manfredo Tafuri, and the specific versions of architectural modernism advanced by their historical narratives. He shows that the modernism conceived by Kaufmann was, like the late Enlightenment projects he revered, one of pure, geometrical forms and elemental composition; that Rowe saw mannerist ambiguity and complexity in contemporary design; Banham’s modernism took its cue from the aspirations of the futurists; and the “Renaissance modernism” of Tafuri found its source in the division between the technical experimentation of Brunelleschi and the cultural nostalgia of Alberti. 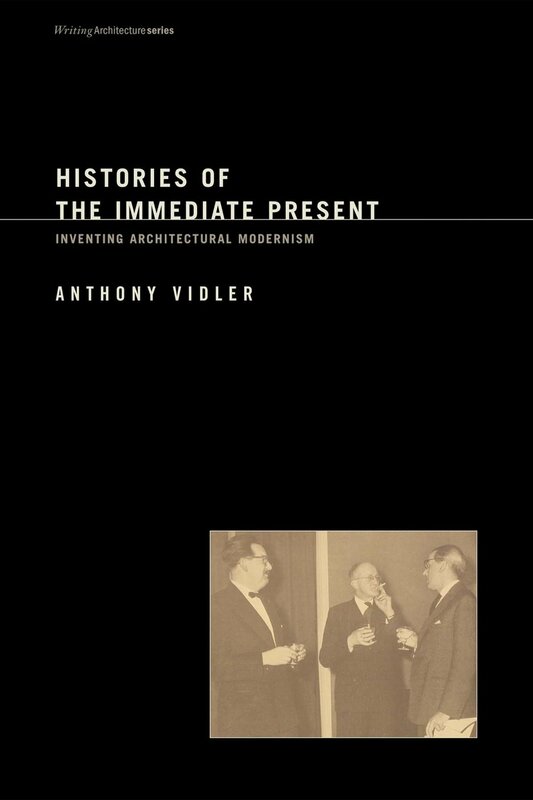 Vidler’s investigation demonstrates the inevitable collusion between history and design that pervades all modern architectural discourse – and has given rise to some of the most interesting architectual experiments of the postwar period. Confronted with the intricate construction details of Carlo Scarpa's Querini Stampalia Gallery – steel joined at odd intervals, concrete spilled out of concatenated forms, stone cut in labyrinthine pattern – Michael Cadwell abandoned his attempts to categorize them theoretically and resolved instead to appreciate their idiosyncrasies and evoke their all-embracing affects. What he had dismissed as a collection of fetishes he came to understand as a coherently constructed world that was nonetheless persistently strange. In Strange Details, Cadwell looks at the work of four canonical architects who "made strange" with the most resistant aspect of architecture – construction. In buildings that were pivotal in their careers, Scarpa, Frank Lloyd Wright, Mies van der Rohe, and Louis Kahn all created details that undercut our critical and analytical terra firma. Cadwell explores the strangeness of Scarpa's Querini Stampalia, the wood light-frame construction of Wright's Jacobs House, the welded steel frame of Mies's Farnsworth House, and the reinforced concrete of Kahn's Yale Center for British Art. Each architect, he finds, reconfigures the rudimentary facts of construction, creating a subtle but undeniable shift in a building’s physicality. And for each of them, nature is strange, and its strangeness infects; nature unmoors exhausted cultural ideas, constricted analytical procedures, and outmoded production techniques. An awakening to nature's strangeness forces a new sense of the world, one that we can detect in these architects' configurations of the world's materials – their strange details. 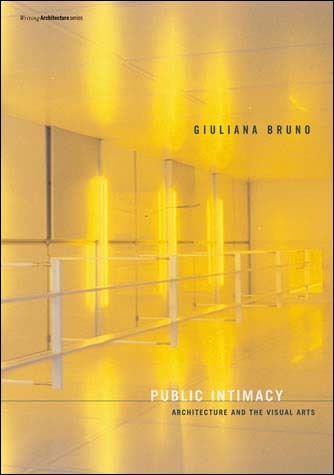 Giuliana Bruno's essays address the crucial role that architecture plays in the production of art and the making of public intimacy. As art melts into spatial construction and architecture mobilizes artistic vision, Bruno argues, a new moving space – a screen of vital cultural memory – has come to shape our visual culture. Taking on the central topic of museum culture, Bruno leads the reader on a series of architectural promenades, or "museum walks," to demonstrate how artistic collection has become a culture of recollection. She examines the public space of the pavilion as reinvented in the moving-image art installation of Turner Prize nominees Jane and Louise Wilson, and finds a notable combination of the artistic and the scientific to create an architecture of public intimacy in the work of artist Rebecca Horn. Considering the role of architecture in contemporary art that refashions our "lived space" – including the work of Rachel Whiteread, Mona Hatoum, and Guillermo Kuitca – Bruno argues that architecture is used to define the frame of memory, the border of public and private space, and the permeability of exterior and interior space. Architecture, Bruno contends, is not merely a matter of space, but an art of time. To be outside allows one a fresh perspective on the inside. 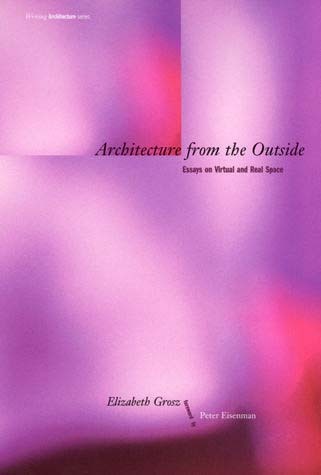 In these essays, philosopher Elizabeth Grosz explores the ways in which architecture and philosophy, which are disciplinarily outside each another, can meet in a third space to interact free of their internal constraints. "Outside" also refers to those whose voices are not usually heard in architectural discourse but who inhabit its space – the destitute, the homeless, the sick, and the dying, as well as women and minorities. Grosz asks how we can understand space differently in order to structure and inhabit our living arrangements accordingly, and argues that time, change, and emergence, traditionally viewed as outside the concerns of space, must become more integral to the processes of design and construction. She also argues against architecture’s historical indifference to sexual specificity, asking what the existence of (at least) two sexes has to do with how we understand and experience space. Drawing on the work of Henri Bergson, Roger Caillois, Gilles Deleuze, Jacques Derrida, Luce Irigaray, and Jacques Lacan, Grosz raises abstract but nonformalistic questions about space, inhabitation, and building, and proposes philosophical experiments to render space and building more mobile and dynamic. In A Landscape of Events, the celebrated French architect, urban planner, and philosopher Paul Virilio focuses on the cultural chaos of the 1980s and 1990s. It was a time, he writes, that reflected the "cruelty of an epoch, the hills and dales of daily life, the usual clumps of habits and commonplaces." Urban disorientation, the machines of war, and the acceleration of events in contemporary life are Virilio's ongoing concerns. He explores them in events ranging from media coverage of the Gulf War to urban rioting and lawlessness. 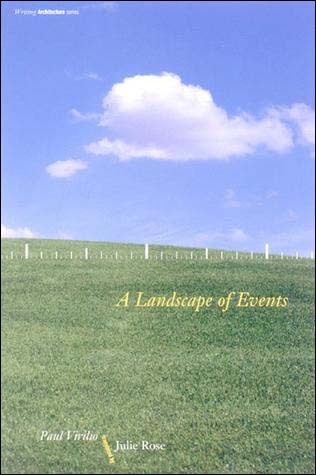 Some will see Virilio as a pessimist discouraged by "the acceleration of the reality of time," while others will find his recording of "atypical events" to be clairvoyant. 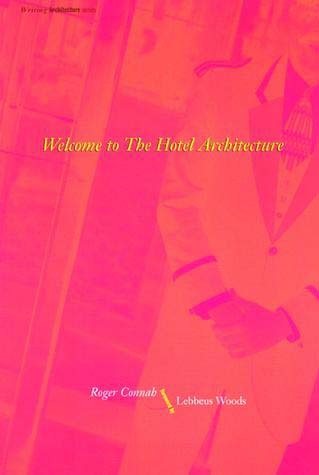 Departing from conventional genres of architectural writing, Roger Connah's Welcome to the Hotel Architecture is a five-part "anti-epic" poem on the culture of architecture – its tribes and inventions, the spectacular and vernacular, and the processes through which names and movements are secured, erased, and manipulated. Using various styles and poetic approaches, Connah takes us on an eccentric hop, skip, and jump along the compound walls of architecture and eventually to the Hotel Architecture itself and a carnivalesque New Year's Eve symposium on December 31, 1999. In the foyer to the Digital Lounge, where the DITTO conference is taking place, some guests are raising their glasses to Gin and Tectonica, others saying good-bye to the rhetoric of the last century, while others cling to literary theory and philosophical thinness. Following midnight hour, the crews finally arrive to clean up the mess left by the architecture wars of the last century. 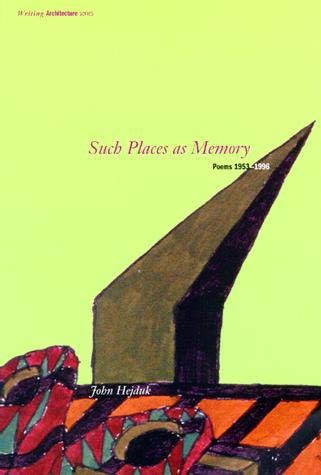 The poems of John Hejduk are almost nonpoetic: still lives of memory, sites of possessed places. They give a physical existence to the words themselves and an autobiographical dimension to the architect. Architect Peter Eisenman likens them to "secret agents in an enemy camp." Writing about Hejduk's poems in 1980, Eisenman observed, "Walter Benjamin has said that Baudelaire's writings on Paris were often more real than the experience of Paris itself. Hejduk's drawing and writing contain a compaction of themes which in their conceptual density deny reduction and exfoliation for a reality of another kind: together they reveal an essence of architecture itself." This is the first comprehensive collection of Hejduk's poems to be published outside an architectural setting. In this collection of overlapping essays on architecture and art, John Rajchman attempts to do theory in a new way that takes off from the philosophy of the late Gilles Deleuze. Starting from notions of folding, lightness, ground, abstraction, and future cities, he embarks on a conceptual voyage whose aim is to help "construct" a new space of connections, to "build" a new idiom, perhaps even to suggest a new architecture. Along the way, he addresses questions of the new abstraction, operative form, other geometries, new technologies, global cities, ideas of the virtual and the formless, and possibilities for critical theory after utopia and transgression. 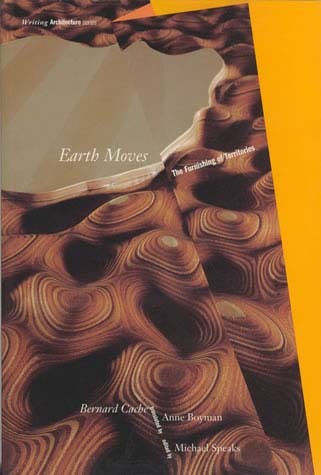 Earth Moves, Bernard Cache's first major work, conceptualizes a series of architectural images as vehicles for two important developments. First, he offers a new understanding of the architectural image itself. Following Gilles Deleuze and Henri Bergson, he develops an account of the image that is non-representational and constructive – images as constituents of a primary, image world, of which subjectivity itself is a special kind of image. Second, Cache redefines architecture beyond building proper to include cinematic, pictorial, and other framings. Complementary to this classification, Cache offers what is to date the only Deleuzean architectural development of the "fold," a form and concept that has become important over the last few years. For Cache, as for Deleuze, what is significant about the fold is that it provides a way to rethink the relationship between interior and exterior, between past and present, and between architecture and the urban. 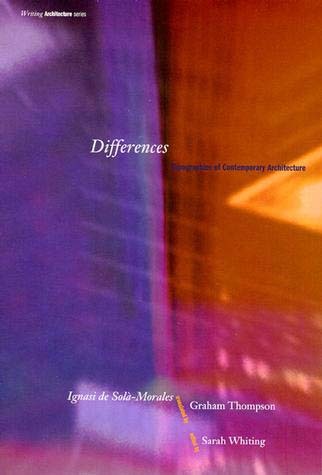 Contemplating the panorama of contemporary art and architecture, de Solà-Morales posits that there is no one way to describe today's practice; instead he concentrates on elucidating the present dynamic of contrast, diversity, and tension. In an unorthodox pairing, de Solà-Morales derives his inspiration from both phenomenology and Deleuzean poststructuralism. Combining these philosophical inheritances allows him to reinvoke the human subject without referring to classical humanism or announcing the death of the object. His retrospective review of the disciplines of art and architecture, particularly as they have developed since World War II, provokes him to design, draft, and ultimately build a description of modernism's lineage of subjectivity. The result is a provocative construction of fluid "topographies" that articulate, rather than depict, the shaky ground on which our current artistic and architectural production rests. In Architecture as Metaphor, Kojin Karatani, Japan's leading literary critic, detects a recurrent "will to architecture" that he argues is the foundation of all Western thinking, traversing architecture, philosophy, literature, linguistics, city planning, anthropology, political economics, psychoanalysis, and mathematics. 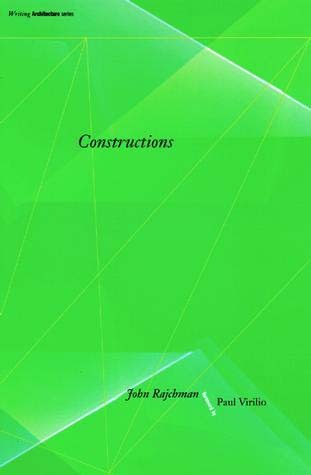 Here he analyzes the complex bonds between construction and deconstruction, thereby pointing to an alternative model of "secular criticism," but in the domain of philosophy rather than literary or cultural criticism. As Karatani claims, because the will to architecture is practically nonexistent in Japan, he must first assume a dual role: one that affirms the architectonic (by scrutinizing the suppressed function of form) and one that pushes formalism to its collapse (by invoking Godel's incompleteness theorem). His subsequent discussions trace a path through the work of Christopher Alexander, Jane Jacobs, Gilles Deleuze, and others. Finally, amidst the drive that motivates all formalization, his speculation turns toward global capital movement.